Bush Hill Stud enjoyed a phenomenal win by 50/1 Chipofftheoldblock, a son of Redoute’s Promise who give his Redoute’s Choice sire his third individual winner. He won over 1400m from Stock Bridge and African Rock. 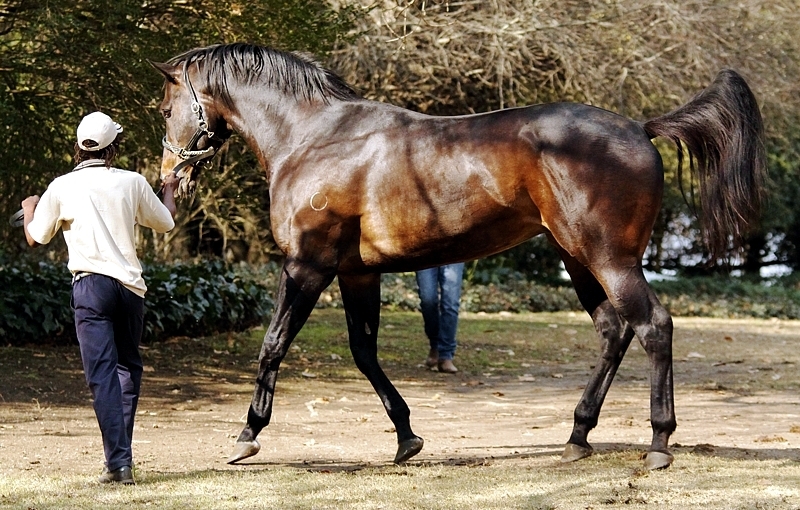 Redoute’s Promise has produced 4-time winner Aldo and Lunico, from just a handful of runners to date. Bred by Bush Hill Stud and owned by Messrs J F & L M F Wernars & Mrs T J Wernars, the winner sat third off to swoop down in the closing stages defeat a quality field to place behind him for trainer Johan Janse Van Vuuren. Redoute’s Promise is an unraced horse out of champion overseas SAF-bred Gr1 winner Perfect Promise. He has two half-brothers that have produced the goods in both Australia and Hong Kong, named Hard Promise and More Energy. Look for Bush Hill Stud at the upcoming National Yearling Sale, where they are presenting the first crop of Flying The Flag.